Hlosi Game Lodge provides stylish 4-star safari accommodation in the Eastern Cape’s Amakhala Game Reserve, situated in the Addo area. 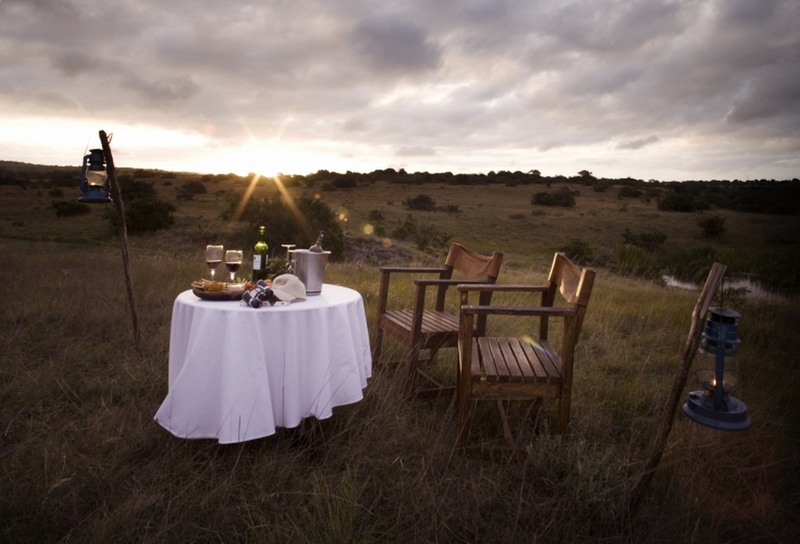 Guests are accommodated in fourteen luxury suites and safari tents, all with their own decks looking out over the reserve. Families are well looked after at Hlosi, staying in a family suite or family tent, with supervised activities for children. The camp is fenced for the safety of guests. The Amakhala safari is intimate and rewarding, and without risk of malaria, featuring vehicle safaris daily – and a river cruise on request. There's currently no specials at Hlosi Game Lodge. Conferencing and teambuilding can be offered to a maximum of 28 delegates at Hlosi Game Lodge.